Slumdog Millionaire, the feel-good film about a boy from the slums of Mumbai who goes from rags to riches after winning Who Wants to Be a Millionaire, has captured the hearts of people across the world and scooped three Oscar nominations yesterday. So we asked India’s real life ‘Slumdogs’ what they think of Danny Boyle’s film and their hopes for the future. 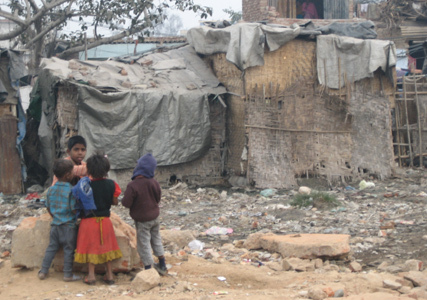 For the millions of children living in slums across India, every day is a battle for survival. 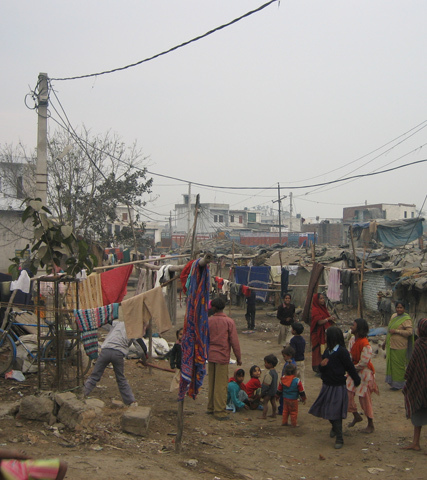 In cities across the country children work in terrible conditions for a pittance, they are subject to violence and abuse or captured by organised crime rackets, who make them beg for money on the streets. Eleven-year old Shabana spends seven hours a day scavenging in a rubbish dump near her home for anything she can sell for a few rupees. The work is dangerous and dirty and she only earns about 30-40p a day. ‘I wish I could find a bag of money,’ she told us. For many children in India, hitting the jackpot simply means being able to go to school and get an education so that they can fight their way out of poverty. 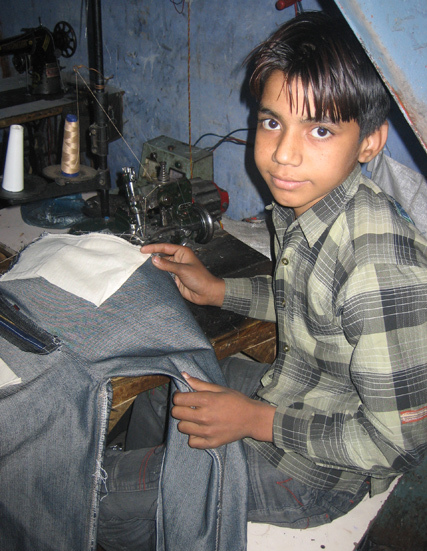 Samee, 12, who spends all night bent over a sewing machine making up to 15 pairs of jeans, dreams of going to school. So does Savita, who was just 15 when she turned to prostitution to make ends meet. ‘I missed out on my childhood,’ she said. ‘I could not study’. But she is hopeful that she her luck can change, as it did for Jamal Malik (Dev Patel) in Slumdog Millionaire. ‘It can happen,’ she said. Save the Children works with thousands of slum children in Delhi, Calcutta and Hyderabad running education and training programmes and reuniting those who were trafficked with their families. Click here for more information about Save the Children.